Founded in 2000, Recanati has already established itself as one of the leading lights in Israeli wine. Their aim is to produce wines that are varietally pure and true, while expressing a sense of place and embracing their Mediterranean origins. The property is constantly pushing to improve the quality of its wines further, sourcing fruit from key regions in Israel (with much grown at altitude to retain freshness and definition) and nurturing the resurgence of indigenous varieties. 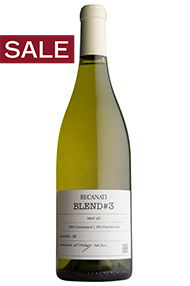 Pale lemon in colour, the nose shows hints of citrus pith, layered with peach-stone. On the palate, this vibrancy continues with chalky minerality and more citrus overtones. Four months in old oak add texture and weight to the mid-palate and support the freshness of the acidity on the palate. Drink now to 2020.